Want to learn how to save on your IceStone countertop cost in Maryland, Northern Virginia, DC, Baltimore, Columbia and the surrounding areas. At Express Countertops we all we do is fabricate and sell countertops—allowing us to streamline the buying process and pass the savings directly on to you. Keep reading to discover some tips we’ve learned over the years to save even more on your countertop installation. If you’d like to speak with an IceStone countertop expert who can answer your questions, call 410-712-0601. Or you can click here and request a free, no obligation estimate. How Much Does IceStone Cost? Recycled glass and eco-friendly countertops are becoming more popular everyday and IceStone is leading the pack with the greenest countertops available. Here are some tips that will help you find the elegant IceStone countertops you want at a price you can afford. Explore A Variety of Models – IceStone counters are available at a variety of price points depending on color, and the amount of material required. By opting for a more basic color over a specialty color you can save money and still get all of the benefits of an IceStone color. Consider Your Edge Design – IceStone countertops are available in a variety of edge designs. A great way to save money without impacting the benefits of your countertop is to select a basic edging design. Ask About Discontinued or Sale Slabs – Countertop fabricators and installers sometimes find slabs of IceStone for exceptional deals. 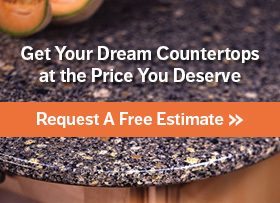 The most customer-oriented countertop contractors will pass these savings along to you. Contact us today to find out if we have any IceStone countertop sales. By selecting IceStone countertops you are making an investment that will increase the value of your home for years to come. IceStone has twice the strength of marble, and there’s no reason why it shouldn’t last you for a very, very long time when you follow the recommended maintenance instructions. Treat your IceStone well and you may see a significant return on your investment during a home appraisal. It’s not uncommon to shop around for the lowest estimates available—we actually recommend it. And we can help! Unlike companies that specialize in full remodels, we focus only on countertops, allowing us to find the best prices available and pass them directly to you. So please, shop around, get a list of quotes for a variety of countertop manufacturers, and then contact us to speak with the experts. I think you’ll be surprised (and pleased!) to find out how our service stacks up to the competition. If you’d like to receive a free estimate for your IceStone countertop cost, or if you have any questions, call 410-712-0601 today. Or click here to contact us online. Express Countertops—serving Maryland, Northern Virginia, and DC—is home of the famous 7-day installation guarantee. Contact us today and you could have a brand new IceStone countertop installed in a week or less—with no mess left behind!